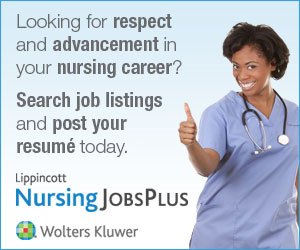 Created by nurses, for nurses, Lippincott NursingCenter.com is the premier online destination for peer-reviewed nursing journals and continuing education resources based on the best evidence available. A host of more than 60 nursing journals, Lippincott is committed to providing credible, current, authoritative, evidence-based resources to help you in your practice. Some of our leading nursing journals include AJN, American Journal of Nursing; Nursing2018; Nursing Management; The Nurse Practitioner: The American Journal of Primary Health Care; and Nursing2018 Critical Care. Along with peer-reviewed journals, more than 1,900 continuing education activities, including your own CE planner tool, are right at your fingertips. Our CESaver product also offers you a one-stop resource to earn valuable contact hours while enhancing your clinical knowledge, all for one low fee. You also have access to free eNewsletters focused on your areas of interest, daily nursing news and drug news updates, virtual clinical expos and job fairs, patient education materials, and more. Use NursingCenter to interact with other nursing professionals over Facebook, Twitter, Linkedin, Google+ and YouTube; and follow our blog section to stay up-to-date on the important issues in the nursing community. NursingCenter provides you with what you need to succeed in today’s challenging healthcare environment. Use this presentation to discover all of the nursing resources NursingCenter has to offer and how to use them. Meet the NursingCenter team and learn how NursingCenter can help you achieve your goals with these Behind the Scenes videos. Lisa Morris Bonsall, MSN, RN, CRNP is the Senior Clinical Editor for Lippincott NursingCenter.com. Lisa has been a nurse for over 20 years with experience in critical care and women's health. She's worked in publishing for 18 years writing, reviewing, and editing for book products, journals, and the Web. Lisa enjoys spending time with her family, reading, gardening, and cooking. Anne Dabrow Woods, DNP, RN, CRNP, ANP-BC, AGACNP-BC, FAAN is the Chief Nurse for Wolters Kluwer. Anne has over 32 years of experience in nursing and has been a nurse practitioner since 1998. Her areas of expertise include acute care, critical care, emergency, and primary care. Anne has worked in publishing for 18 years and still practices every weekend as an acute care/critical care nurse practitioner for Penn Medicine, Chester County Hospital. She is also adjunct faculty for Drexel University in the College of Nursing and Health Professions. She earned her Doctor of Nursing Practice from Texas Christian University, an MSN from LaSalle University, a Post-Master’s Certificate from Drexel University and her BSN from West Chester University. When Anne is not working, she enjoys spending time with her family traveling and relaxing with a good book at the beach. Karen Innocent, DNP, RN, CRNP, ANP-BC, CMSRN is the Executive Director of Continuing Education for Wolters Kluwer Health and the lead nurse planner of Lippincott’s continuing nursing education provider unit. She has grown Lippincott into the largest producer of CNE that is accredited by the American Nurses Credentialing Center. In 2013, Karen led the provider unit to Accreditation with Distinction. Karen earned her Doctorate of Nursing Practice from George Washington University in May 2013. Myrna Buiser Schnur, MSN, RN has been a consultant clinical editor for NursingCenter since 2014. Myrna, a nurse for over 20 years, has experience in critical care, information systems, pharmaceutical clinical research and medical simulation education. In addition to writing, reviewing and researching topics for NursingCenter, Myrna works part-time in a plastics/reconstructive surgery clinic to maintain her nursing skills. Myrna enjoys running, hiking, skiing, camping and spending time with her family and friends. Megan Giovanelli Doble, MSN, CRNP, FNP-C, AGACNP-C is a freelance clinical editor for NursingCenter. Megan has over 15 years experience in nursing and currently works as a nurse practitioner in critical care. She has previous experience in medical/surgical nursing, as a family nurse practitioner in a community, federally qualified health care center and as a nurse practitioner in hospice/palliative care medicine. Megan received her masters degree in nursing at the University of Pennsylvania and most recently completed a post-masters program and obtained certification as an Adult Gerontology Acute Care Nurse Practitioner. Valerie Dziados, MSN, CRNP, ANP-C, AGACNP-C is a freelance clinical editor for NursingCenter. Valerie has 19 years of nursing experience and is specialized in cardiology. For the past 11 years, she has been a cardiovascular nurse practitioner at Penn Medicine Chester County Hospital, specifically working in interventional cardiology, peripheral vascular interventions, cardiac stress testing, and covering electrophysiology when needed. Prior nursing experience included critical care nursing, cardiac catheterization laboratory, and medical surgical nursing. She has recently begun lecturing on cardiovascular disease at the local and state level. Valerie received her Master’s in nursing from Thomas Jefferson University as an adult health nurse practitioner in 2003 and earned a post-master’s certificate from the University of Pennsylvania for adult-gerontology acute care nurse practitioner in 2016. She is board certified in both specialties. Valerie enjoys spending time with her husband and two children, running, and hiking, reading. Margaret Smith MJ, BSN, RN, CRNI is a freelance clinical editor for NursingCenter. Margie has been a nurse for 19 years, with experience in medical-surgical nursing, post-surgical care, and is an active IV/PICC Team nurse. She earned her Master of Jurisprudence in Health Law, in 2017, and specializes in legal nurse consulting and hospital regulatory compliance. Margie enjoys reading, spending time with her family, and gardening. She looks forward having time to devote to medical mission trips and community volunteering. Lynne Centrella Rudderow, MSN, RN, CRNP, WHNP-BC, CCE is a freelance clinical editor for NursingCenter. At Penn Medicine Chester County Hospital, Lynne provides comprehensive women’s health care to the underinsured population. She has over 20 years of experience in this field. Lynne has been a women’s health subject matter expert for Wolters Kluwer since 2012. Lynne enjoys spending time with her six children, gardening, and cooking. Christina Gresh, MSN, RN, is a freelance clinical editor for NursingCenter. Christina has been a nurse for over 14 years with experience in medical-surgical nursing, telemetry, geriatrics, trauma, and bariatrics. She's worked in publishing for over 5 years writing, reviewing, and editing for book products, journals, and the Web. She earned both her MSN in Nursing Education in 2012 and her Post Master’s Nursing Administration Certificate in 2016 from Immaculata University. She works full time as a nurse care coordinator in the Primary Care setting. Christina enjoys spending time with her family, reading, hiking, and traveling. Bob Maroldo is NursingCenter's Publisher. Bob has more than 25 years of experience working in online publishing, and has been piloting NursingCenter since 2002. Bob's a technology buff, and he also enjoys sports, music, and spending time in the great outdoors. Kim Fryling-Resare is NursingCenter's Managing Editor and has been working on NursingCenter since 2002. She holds a special place in her heart for nurses and has been working on websites specifically catered to the nursing profession since 1999. Kim is also proud to contribute to the International Organization of MS Nurses' (IOMSN) patient resource site, LiveWiseMS.org. In her spare time, Kim enjoys the outdoors, running, sailing, and spending time with her family. Lindsey Lynch is NursingCenter's Digital Editor and a graduate of Drexel University with a Bachelor's degree in Communications. She has previous experience in public relations, marketing, and health communications. In her spare time, Lindsey enjoys writing, traveling, and attending theater productions.